Posted 3:44 pm by Al Broberg & filed under Blog. Ashes to ashes, dust to dust as the good book says. Or, maybe ashes to carbon, carbon to diamond. Uncle Lester may have been a drunken lech in real life, but now he may be able to provide beauty and pleasure in the afterlife. At least according to several companies like LifeGem and Cremation Solutions, which advertise that they will create a High Pressure, High Temperature (HPHT) diamond from your loved one’s ashes. Well….., buyer beware. The International School of Gemology looked into these claims and issued a report in 2007 which cast lots of doubt on them. To begin with, both companies used a picture of a row of BARS diamond presses on their websites and promotional material claiming explicitly in one case and suggesting in the other that these presses were owned by their companies. In fact, neither company owns these presses. The picture was taken off the internet and the presses belong to New Diamond Technology, a Russian company. When LifeGem receives ashes from someone wanting a diamond created of their loved one, they claim to send the ashes to Russia where the diamond is created by NDT. According to them, you can tell them how many diamonds you want from Uncle Lester, how big, the shape of them and their color. But the major diamond synthesis labs consulted by the International School of Gemology said it was not technologically possible to do this to the extent claimed by the cremation diamond sellers. Moreover, it seems that the cremation process itself burns virtually all of the carbon. According to the ISG, there is no proof that the ashes you provide are ever sent to Russia or that, if they are, they are used in creating the diamond you buy. In the best case, ISG says there is only a miniscule amount of carbon from your loved one in the diamond you get, and in the worst case, there is none at all. You might just get conned and sold a lab created diamond with none of Uncle Lester’s carbon in it and for a price that can be about double the normal price of a lab created diamond. So, was the diamond you see below once Uncle Lester or did you just get suckered? Posted 4:21 pm by Al Broberg & filed under Blog. To follow up on my March 30th post on D color, Flawless diamonds, the number of these stones sold, most of them at auction, is tiny compared to the volume of diamonds sold worldwide each year or even just at auction. But their impact is huge. The sale of these diamonds makes news in part because they are almost always for millions of dollars and the demand for these diamonds from wealthy private clients exceeds the supply of them. To illustrate, the 76.02 carat, Archduke Joseph diamond is a D, Internally Flawless stone which originates from the Golconda region of India where several other of the world’s oldest and most famous diamonds come from. It sold at Christie’s November 2012 Geneva auction for $21.5 million. Six months later in May 2013, a 101.73 carat pear shaped, D, Flawless diamond sold again at Christie’s Geneva auction for $26.7 million. That set a record as the largest D, Flawless ever sold at auction. The record lasted until October of the same year (2013) when a 118.28 carat D, Flawless was sold at Sotheby’s Hong Kong auction for $30.6 million. Historically, alluvial diggings in the Golconda region has been the source of the world’s finest diamonds going back to the 15th century. In the 20th and early 21st century, the Cullinan Mine (renamed from Premier) in South Africa has been the source of many D, Flawless stones as well as the Letseng mine of Lesotho. The Karowe mine in Botswana is the most recent addition producing many large diamonds, including a 1,111 carat diamond which looks to D potential. 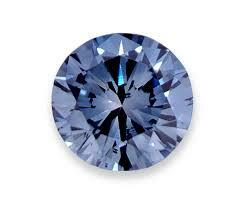 D, Flawless diamonds are naturally scarce, especially when combined with large size. But the number of clients wanting them is constantly on the increase creating a situation in which increased competition will bid prices to fabulous levels and create great excitement in the auctions of Chrities and Sothebys. Seventy percent of the word’s wealthiest 1 percent made their money in the last 10 years and are looking to invest at least part of it in art, real estate and diamonds. 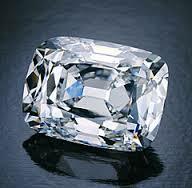 That has made D, Flawless diamonds the glittering stars of the auction world.